No state in the USA has any laws banning bare feet in public. We are finding this is true in most other countries, as well. 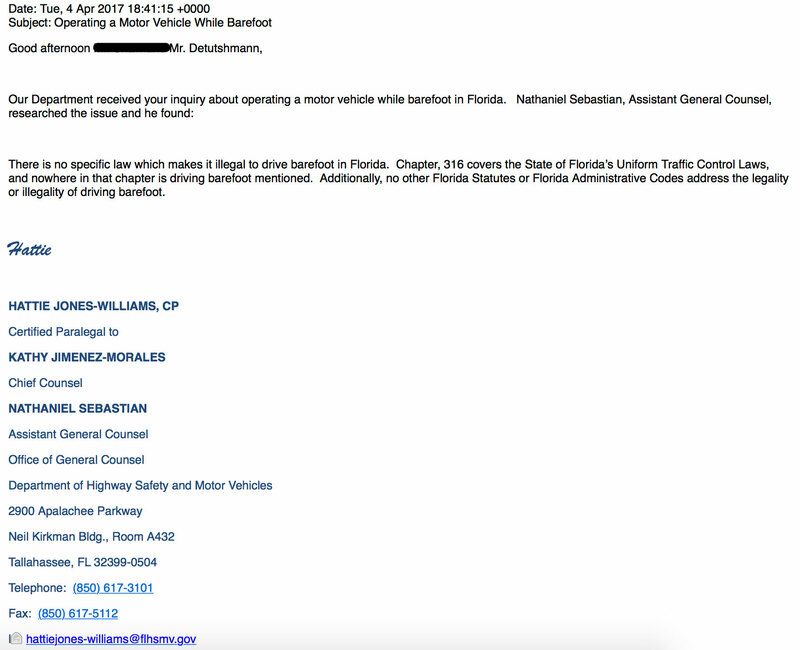 Below you will find health department letters, state-specific civil rights cards, driving regulations, and ADA resources. 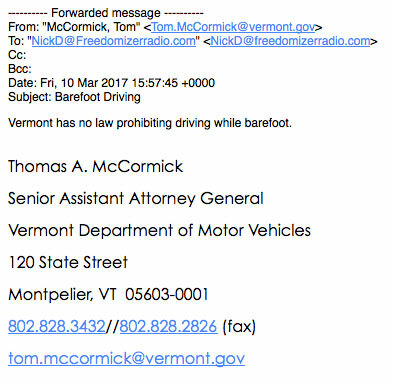 If someone claims it is against health department code to go barefoot, all 50 states have confirmed that there are no health department regulations banning bare feet for patrons. Below are the most up-to-date responses we have. Others will be added in time. 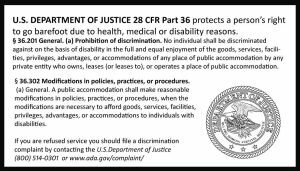 Local, state, and federal disability laws, according to the ADA, US Department of Justice, protect against discrimination in any place of public accommodation as outlined in USDOJ 28 CFR Part 36 for being barefoot due to medical and health reasons. 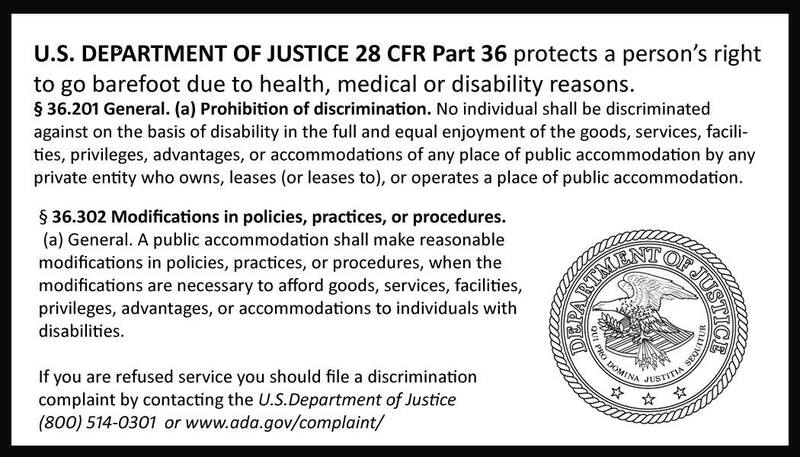 If confronted, present this card and politely explain that they must make reasonable accommodations. If someone claims that they will not acknowledge your right to go barefoot for religious, cultural, or personal beliefs, the civil and human rights acts of the following states protect you from discrimination. Print out your state-specific card for your protection.